Equip your holstered firearm to a variety of tactical gear with the ShapeShift MOLLE Carry Expansion Pack. Carry the way you want to and attach the MOLLE Holster to range bags and gear, vests, backpacks, tactical belts, clothing and more. Compatible with the ShapeShift Modular Holster System, the ShapeShift MOLLE Carry Expansion Pack provides you with everything you need to carry your separately sold Shift Shell in the MOLLE configuration. This MOLLE holster adapter works with any standard or nonstandard PALS webbing, and can fit two to three rows of webbing with Alien Gear Holsters’ patent pending MOLLE locks. 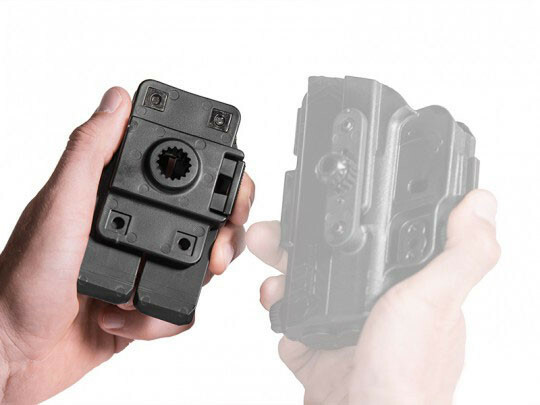 MOLLE locks in regular and extended mean the fastest, toolless attachment and removal of the MOLLE Holster; they simply slide on and lock the holster into place. 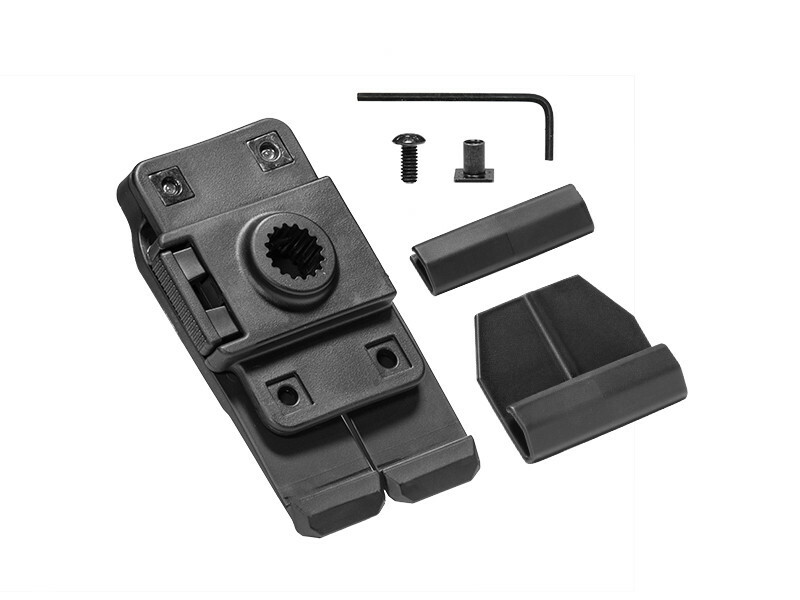 The MOLLE attachment of the holster is two prongs made from premium engineered polymer that effortlessly slide in PALS webbing due to extremely smooth texture. Once attached, the MOLLE holster is secured and will not budge. The premium engineered polymer is also heat resistant, impact resistant, and scratch resistant. This holster is made to weather extreme conditions! With the push of a button, 360 degree rotational cant and quick swapping with compatible holsters is possible. 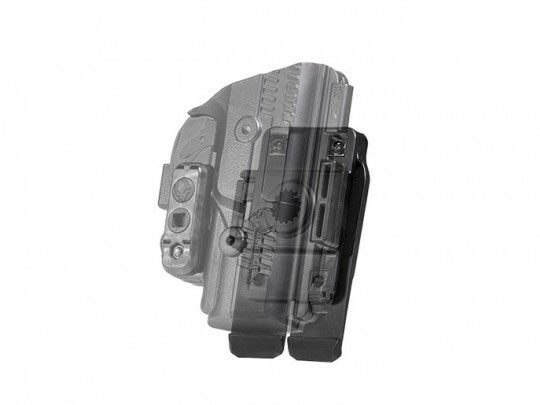 Detach your holstered firearm from the MOLLE Adapter, then quickly reattach it to the ShapeShift Holster Mount. The possibilities are endless! Try the ShapeShift MOLLE Carry Expansion Pack with our 30-Day Test Drive. Alien Gear Holsters designed this product to endure whatever life throws at it, but if anything occurs, enjoy a no-questions-asked Forever Warranty. This expansion pack is proudly made in the U.S.A, by a veteran owned company.